Who knew squash could taste so good?! 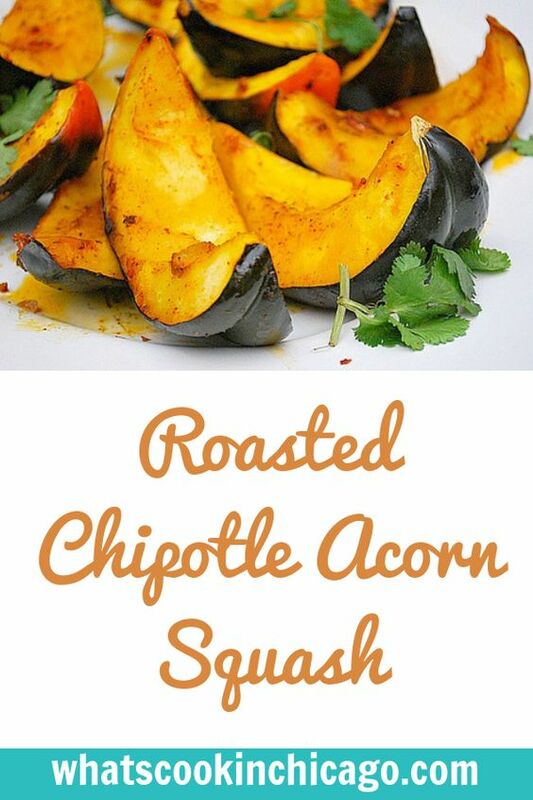 I tend to stick to certain kinds of squash this time of year including butternut, spaghetti and kabocha squash but I've been inspired to venture out and try other types such as acorn, delicata and hubbard this fall season. 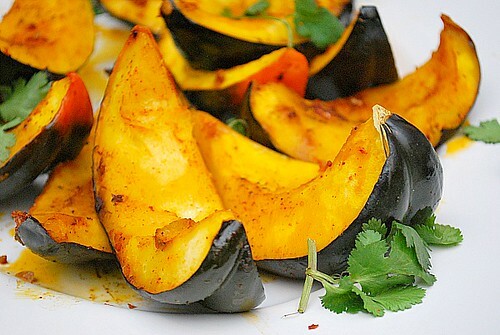 Chef Marcela Valladolid recently prepared this Roasted Chipotle Acorn Squash that's full of flavor. The heat of ground chipotle really pairs nicely with the natural sweetness of acorn squash. Read on for the recipe! Acorn squash is really a great variety to bake because it's easy to cut through and has a great flavor all on it's own. This recipe seasons wedges with a simple blend of salt, pepper and ground chipotle chile powder. If you can't find chipotle chile powder, feel free to substitute with your favorite chili powder which will give it a more smokey, deeper flavor. This recipe is also a great addition to your Thanksgiving table since it's a nice alternative to savory sweet potatoes. Cut the acorn squash in half lenghthwise. Then cut each half crosswise into 3/4 inch thick slices. Remove and discard the seeds from the squash pieces. Transfer the squash to a baking sheet. Mix olive oil, garlic, ground chipotle, salt, and pepper in a small bowl. Pour the mixture over the squash pieces and toss to coat. Roast for 20 minutes, or until squash is tender.